Shailly Agnihotri & Cassie Veach published "Reclaiming Restorative Justice," which advocates for a community-based model of Restorative Justice. 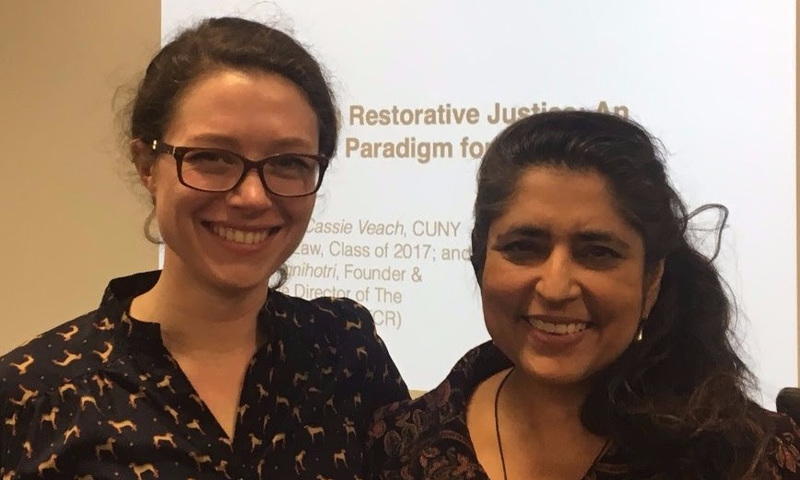 Reclaiming Restorative Justice: An Alternate Paradigm for Justice, by Shailly Agnihotri, founder and Executive Director of the The Restorative Center, and Cassie Veach, recent graduate of CUNY School of Law. Year End Newsletter 2017: Remembering to Hope.